It's insane to think that the 4th of July is just a couple days away! June has gone by so fast, and I'm afraid the rest of the summer will too. Nonetheless, I'm so excited for the 4th of July! It's one of my favorite holidays, and I love dressing up in red, white, and blue to celebrate America. Today I've put together a small collection of items that would be perfect for the holiday, in case you're looking for any last-minute inspiration. 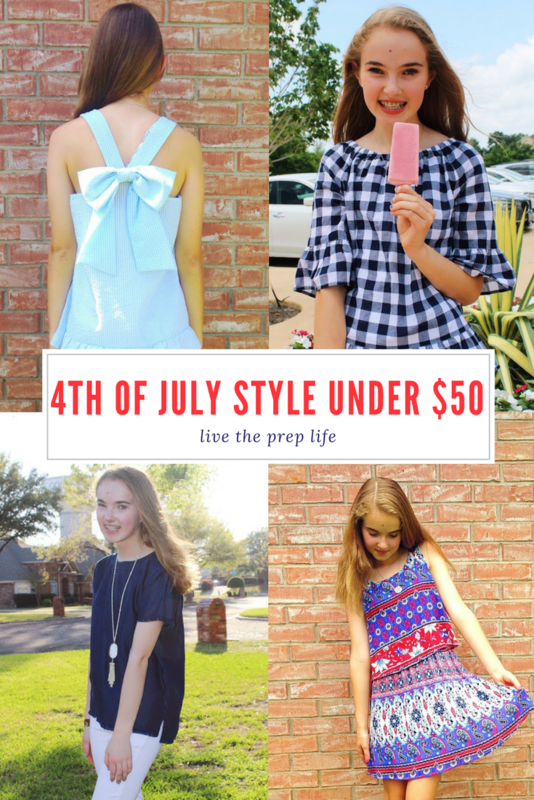 The nice thing about these items is that they're all under $50, so if you're not looking to fork over a ton of money to celebrate the 4th, I've got you covered. Happy shopping! What are you wearing for the 4th of July? What is your favorite item on this list? Let me know by leaving a comment below!